The Ontario Civil Liberties Association (OCLA) advocates for civil and human rights, including the human right of freedom of expression, opinion and belief. The OCLA is concerned about an apparent unwillingness of Canada to come to the aid of a Canadian political prisoner in Germany, who is charged using a German criminal law that does not exist in Canada and that is categorically contrary to international law. Canada ratified the International Covenant on Civil and Political Rights (ICCPR) in 1976. As you know, General Comments (GC) of the United Nations Human Rights Committee (UNHRC) interpret and specify the ICCPR covenant and constitute international law. parties in relation to the respect for freedom of opinion and expression. The Covenant does not permit general prohibition of expressions of an erroneous opinion or an incorrect interpretation of past events. Therefore, the German law in issue, which criminalizes negative expression about the historical events of the Nazi holocaust, is a so-called “memory-law” (HRC term) that violates the human right of free expression. It carries a maximum jail sentence of five years. In this way, the CBC participated in a criminal offence under German law (perpetrated in Canada), which is absurd. 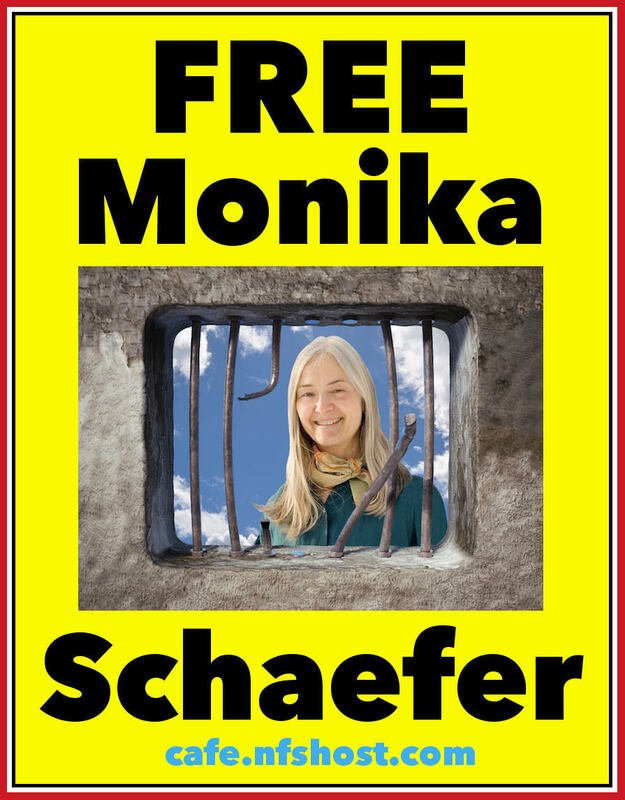 We ask you both to do everything you can to save Monika Schaefer from her on-going unjust and immoral imprisonment in Germany and that you tell your efforts in this regard publicly. Ms. Schaefer’s trial is in progress. In particular, we ask Canada to appoint a consular observer and direct contact for Ms. Schaefer immediately. This entry was posted in Uncategorized and tagged Joseph Hickey, Monika Schaefer, Ontario Civil Liberties Association by admin. Bookmark the permalink.